Israel is the final stop where Ashley James will try the fusions of European and Middle-Eastern cuisine being created by rising star chefs. Cuisine Culture, a new 13-part series from Henri Sera Productions and Muses Productions, is a culinary journey into the world of the best chefs and their restaurants. Hosted by international chef Ashley Charles James, the series showcases the world’s best chefs in their natural environment – an environment for discovery and an appreciation of ethnic influence in today’s gastronomy. Jeff and Chris Galvin have started a food movement in London. From garnering Michelin stars to opening up what has been noted as the best French restaurant in the UK, viewers get to cook and dine with the masters. Sumptuous meals are presented, such as Lasagna of Dorset Sole served with Velouté of Girolles and a main course of Poached Landaise Chicken with Summer Vegetables & Rosemary Butter Sauce. Don’t forget dessert: Caramelized White Provence Peaches splashed with Lavender Ice Cream. Pascal Aussignac takes us on a culinary adventure in England and right through the backdoor of his Michelin-rated restaurant. This is a French-British invasion where we explore the explosion factor of cheeses and charcuterie. Viewers also get to recreate some of Pascal’s recipes from his best-selling cookbook, such as Red Mullet with Quinoa and “Gascon Mess,” his ode to Meringue and Berries. Rising star chef Michael Nizzero’s prepares a Tartare de Langonstine and two dishes made with ingredients from his garden: Vegetarian Gnocchi and variations of Rhubarb and Strawberry. Chef Marc Haeberlin follows the family tradition of cooking for the most discriminating palates on the planet at his restaurant, L’Auberge de l’Ill. Cuisine Culture travels to the fairytale town of Colmar and throughout the picturesque wine growing region of Alsace where viewers learn how to pair the finest wines in the world with a great meal. You won’t want to miss a frog leg or an extra helping of foie gras on this journey. Paul McCabe has earned himself “Best Rising Star Chef” from the James Beard Foundation because his cutting-edge dishes blend organic, local California produce and self-sustainable philosophies into a superb mélange of French California Cuisine. His three-course meal includes a first course of Beet Salad with Caramelized Yogurt, Local Citrus, Valdeon Cheese and Candied Pistachios; a main course of California Lamb Loin over a bed of Farro, Heirloom Carrots and Asparagus, topped with a Spiced Pepper Jam; and dessert: a White Chocolate Panna Cotta served with Local Strawberries, drizzled in Rhubarb Consommé and crowned with Strawberry Snow. World-renowned chef Thomas Henkelmann and his wife Theresa open up their hearts and home as we experience the magic and delights at his namesake restaurant nestled in charming Greenwich, CT. On the menu is seafood from the local fish market, where we learn how to choose the best catch of the day. On the menu: Black Truffle Royale with Lobster Bisque, Napoleon of Atlantic Halibut filled with Onion Compote & Marinated Salmon as well as Sautéed Langoustines and a Vegetable Flower with Sauce Mousseline. Dessert is a sweet conclusion: Marzipan Tart served with a Warm Ragout of Cherries and Ice Cream. Two-Star Michelin chef Josiah Citrin takes us to Santa Monica’s farmers market, where we try local and organic produce that go into his main course: a Liberty Duck Breast à l’Orange served with a colorful Blood Orange Reduction and Tender Baby Turnips. He then leads us to his renowned restaurant Mélisse where he shows us the intricacies behind the appetizer: a Sweet Onion Parmesan Soup with Crabcake and Meyer Lemon. Perfect harmony is created with Warm Crispy Beignets served with Spiced Chocolate Sauce and Cream Gelato. Three-Star Michelin chef Guy Savoy shows us that class, elegance and the best foods in the world can be found in Las Vegas. Guy whisks us away to the Nevada desert where we visit a hydroponic farm. With local ingredients we recreate three of his signature plates in his famed restaurant: an appetizer of Colors of Caviar as well as the main course, Bar en Écailles Grilles aux Épices Douces: Crispy Sea Bass with Delicate Herbs. For dessert, Guy puts a new spin on the classic Rice Pudding. Digital Food Network is an interactive channel that brings you tutorials for the top recipes from the world’s best known chefs. We combine a passion for cooking with an eye for detail, providing you with detailed instructions for preparing the most delicious dishes that you’ll enjoy for years to come. We take you on a mouthwatering journey, where we teach you how to prepare dishes such as: Duck Steak, Carpaccio, Chicken Facon and Roasted Peaches just to name a few. We bring you tempting cuisines from Europe and around the world. 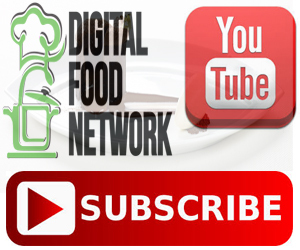 Digital Food Network is a new online network working diligently to bring you all the newest gourmet and trending food how to’s from around the world. Our mission is to showcase our viewers a 24 hour access stream of High Quality and High Class Gourmet and Trending Prepared Meals by some of yesterday, today’s and tomorrow’s Culinary Masters. Ashley James travels to Nice, the gateway to the French Riviera and one of the best places to sample typical French fare. He visits the kitchen of Jean-Denis Rieubland at Le Chantecler, a One-Star Michelin restaurant in the luxurious Hotel Negresco. Chef Rieubland does not fail to impress as he chooses the best produce and fish from the Cannes market to create his dishes.Dessert is another work of art as the pastry chef blows sugar to make glass-like molds that resemble apples. in this tutorial chef Jean Denis Rieubland teachs you how to make his best recipes. we would like to subscribe to our mailing list, that will give you our new content,recipes, tutorials etc. • Daniel Boulud (named Outstanding Restaurateur-Best Chef of New York City and Outstanding Chef of the Year by the James Beard Foundation). Digital Food Network brings you a healthy dessert you’ll have no trouble mastering on your own. Another one of our master chefs demonstrates the simple techniques of preparing Lemon Sponge Cake, an indulging, lemony dessert your guests will be cherish for many years to come. All it takes is 3 minutes of your time and a bit of practice and you’re on your own way to perfecting one of the easiest desserts of all time. the 2nd: Chef Chris Lavender shows us how to prepare a truly unique dessert that will make even the regular upscale restaurant frequenters believers that delicious doesn’t necessarily equal difficult. you’re in your seat when you actually taste it for the first time! situated on the old royal way..in the vicinity of the Grasse region…Bruno Clement ,owner of the famous restaurant “Chez Bruno “he created more than 20 years ago in the house of his grandmother” La Mame “,a magic Domain property where the Truffle is Queen. He grew among olive trees ,perfume smells of sage , thyme ,and a vegetable garden of the best kind with tomatoes , peppers , eggplants and more. He is known as the King of truffles..some of his entrees you can find..